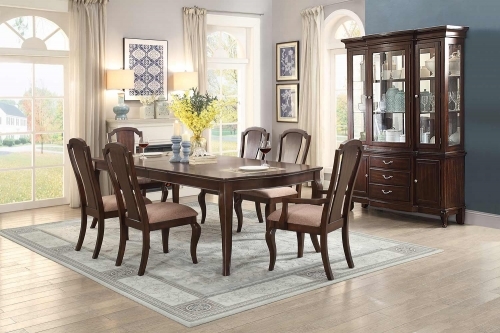 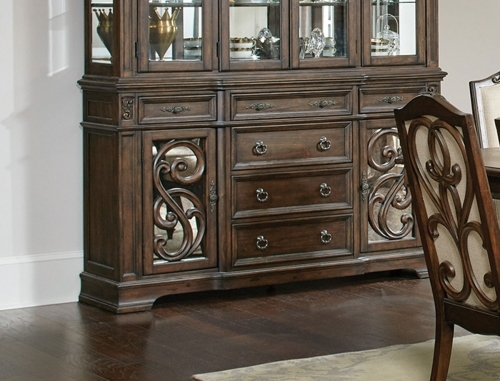 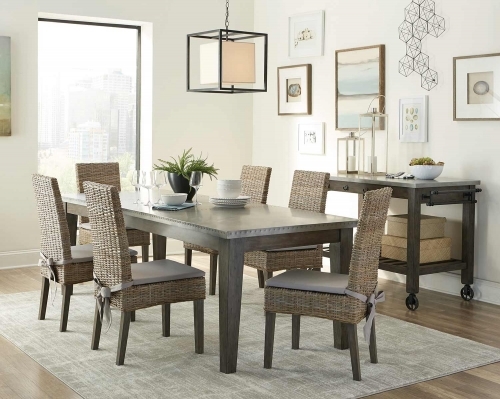 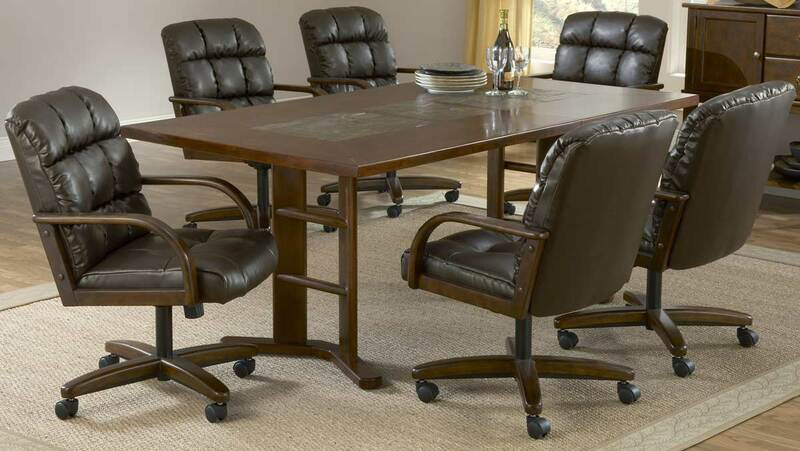 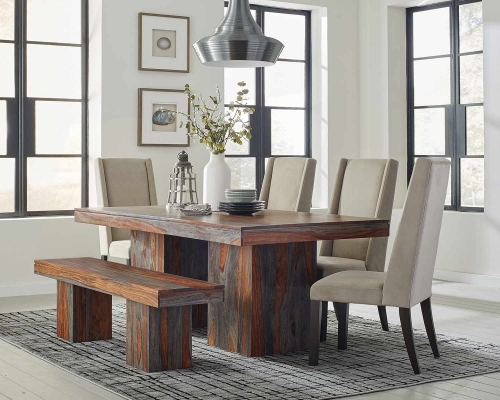 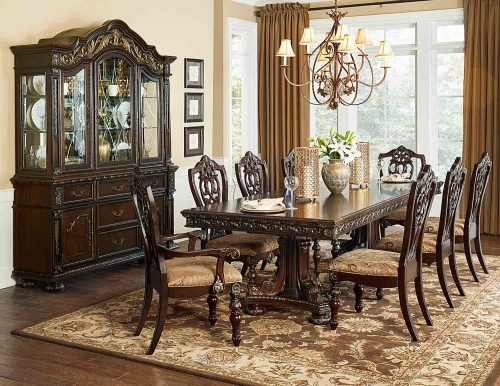 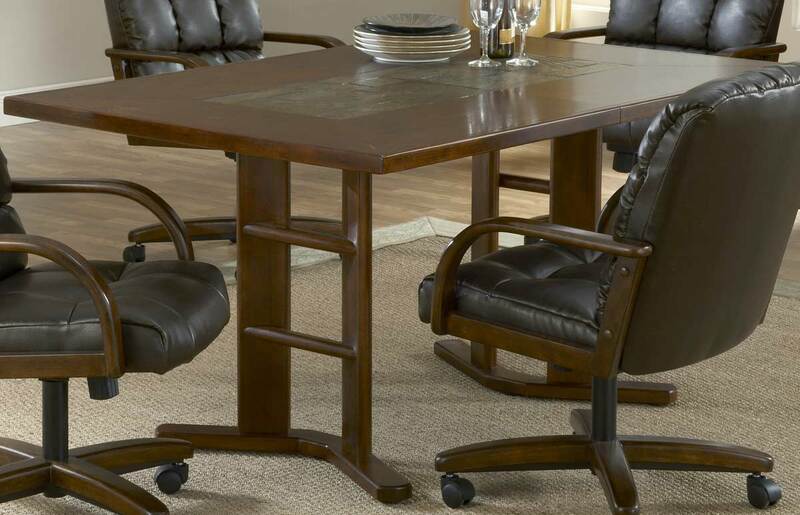 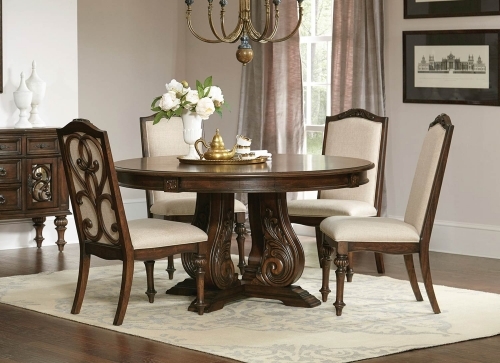 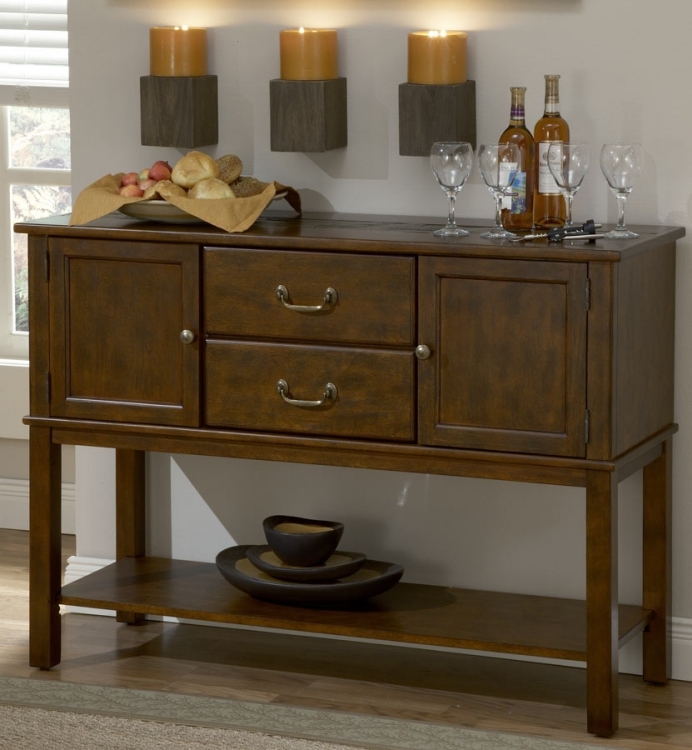 Hillsdale Furniture's Frankfort collection combines the comfort of classically designed castered dining sets with the rich marriage of medium brown finished wood solids, veneers, and slate. 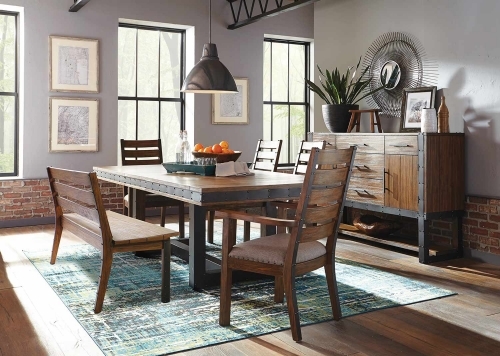 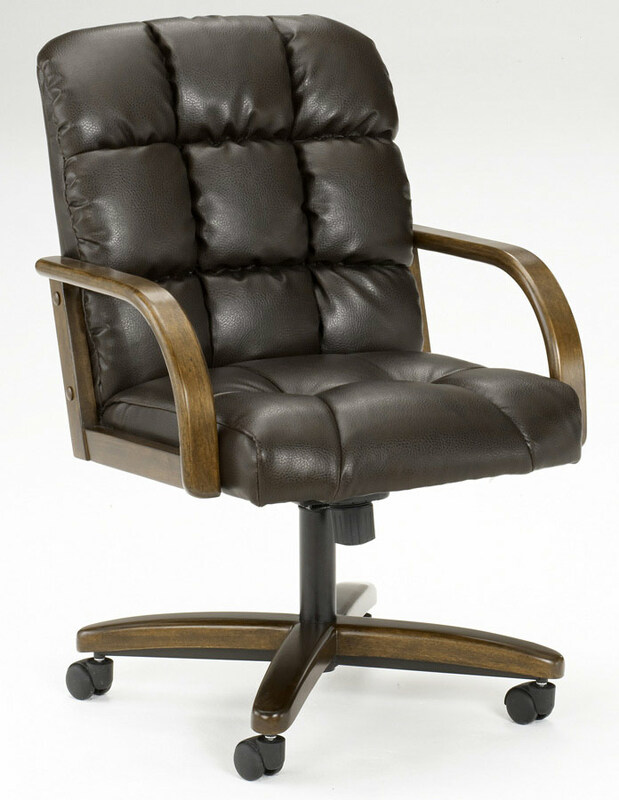 Offering your choice of plush fabric or luxurious leather seats, these castered chairs allow you to sit comfortably at your wood and slate topped dining table. 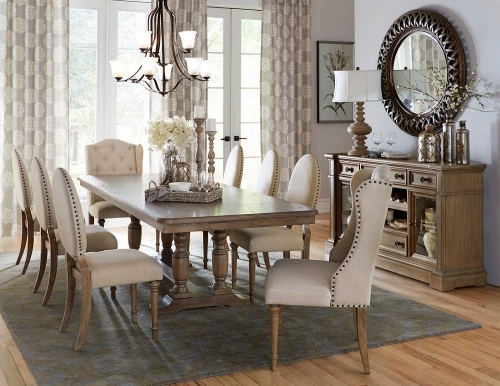 Having friends over? 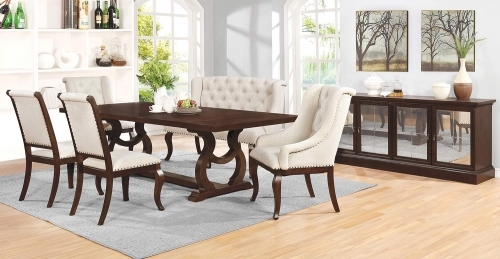 Just add the leaf and slide in a few more chairs. 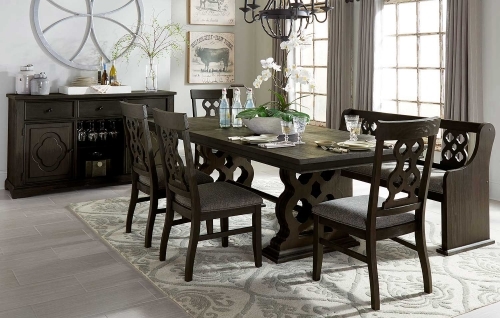 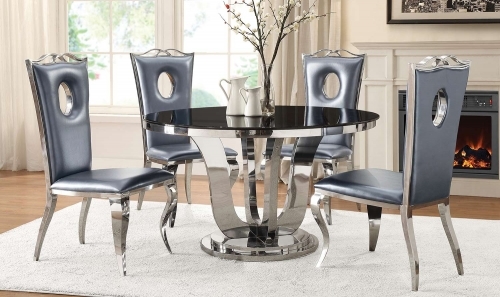 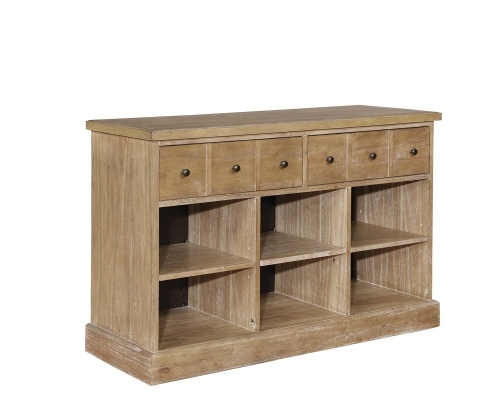 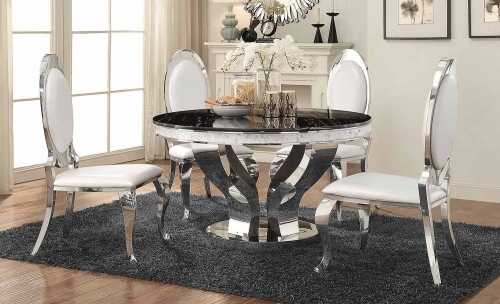 Even better, coordinate your décor with our matching coffee and end tables, barstool, and buffet.